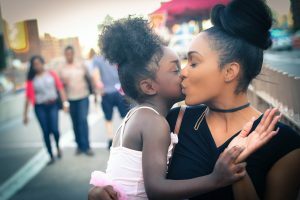 While the ages, ethnicities, beliefs, and interests of mothers may vary, navigating the complexities of motherhood is something all moms have in common. Given all of this, it’s no wonder that advertisers and marketers often miss the mark on targeting modern-day moms effectively. As a millennial mom who doubles as a PR/Marketing professional, I happen to see from both perspectives. As a mom, I can agree that often advertisements or marketing campaigns typically try to connect with us the same way they did with our mothers and grandmothers. It’s almost as if they see us all in one light. As if most of us still stay at home or perhaps don’t have lives outside of being mothers. It’s like they dust off an old ad, or program and just sprinkle in social media or a digital aspect. On the flipside, I will admit that some marketers are trying a little harder to reach moms. However, there are some key insights that should be considered when planning a campaign or initiative that is geared toward millennial moms. Here are a few things us moms really want marketers to understand about who we are before trying to connect with us. There’s more to us than motherhood – We get it. We’re moms and our lives often revolve around our children. But please remember that we are so much more than that. We are still lovers of music, shopping for ourselves, and yes, even spirits! Don’t be afraid to connect with us on passion points outside of parenting. We exist all-year long – Moms don’t go into hibernation when Mother’s Day, back to school or holiday periods end. We really do like being engaged and acknowledged all year round, and don’t only want to be focused on during certain times of the year when a marketer might feel we’re likely to spend money or be celebrated. Think beyond sales driven campaigns – Many brands want to be safe when marketing to mothers. They tend to focus on the traditional roles of motherhood. We modern moms don’t want you to try and sell products and services to us all day long. Parents, moms especially, want to see more campaigns with substance that spark dialogue. For instance, P&G’s The Talk campaign that is focused on talking to children about racial bias is a good example of a brand going beyond what they can get us to buy, and really starting a conversation that is important and relevant to mothers. Moms are and have always been a key target audience for many brands. With more of these women being breadwinners and primary decision makers in the household, now is an extremely important time to get it right. Nicole Pierce is a guest contributor for FCG.